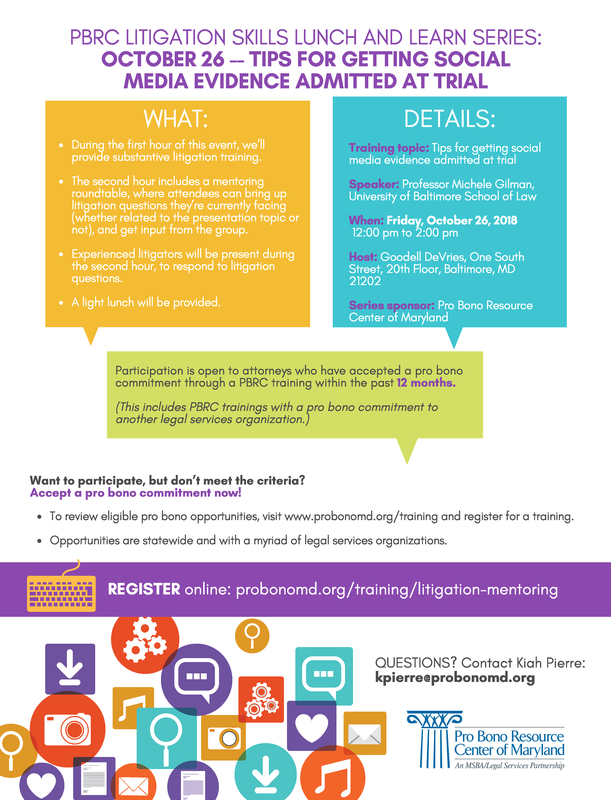 If you have not accepted a pro bono commitment through a PBRC training within the past 12 months, and would still like to participate, you can simply choose the option to commit to answering at least three legal questions for low-income Marylanders, using the https://Maryland.FreeLegalAnswers.org website; OR you can visit www.probonomd.org/training to accept a pro bono commitment through a PBRC training. Opportunities are statewide and through a myriad of legal services organizations. The skills training portion of each event will be made available as an on-demand webcast recording. 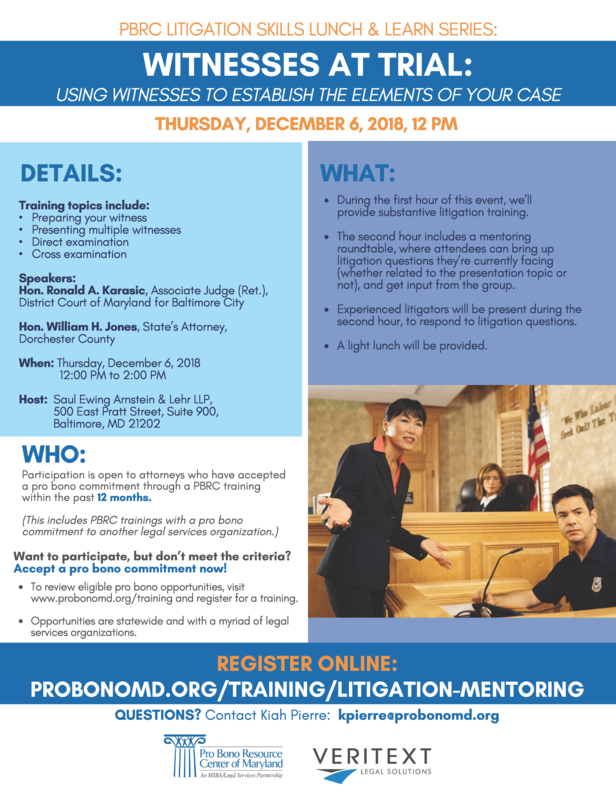 The series is co-sponsored by the MSBA Young Lawyers Section and Veritext Legal Solutions. If you are already on our mailing list, MailChimp will ask you to update your profile with your new notification preferences. 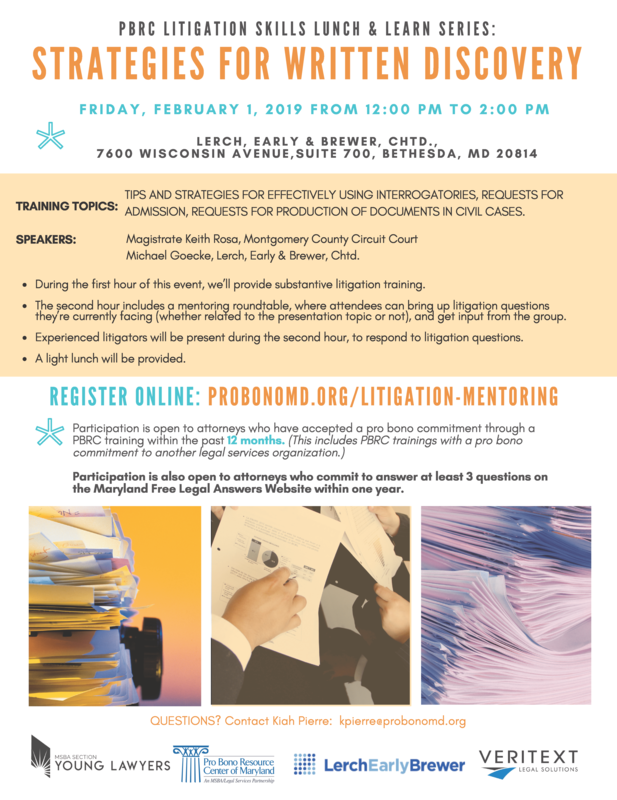 Speakers: Lindsay Parvis & Anne E. Grover, Joseph Greenwald & Laake, P.A. 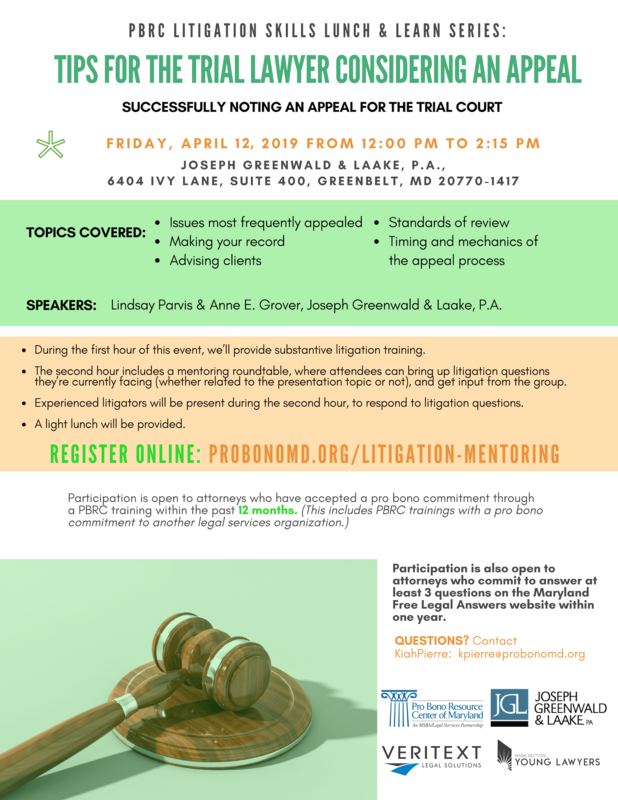 Event-specific sponsor: Joseph Greenwald & Laake, P.A. Speakers: Magistrate Keith J. Rosa, Montgomery County Circuit Court, & Michael Goecke, Lerch, Early & Brewer, Chtd. Event-specific sponsor: Lerch, Early & Brewer, Chtd. The video clip below is a preview only. To view the whole training, please register with the link above.